Therapeutic balls are extremely useful for building strength and dexterity, especially in the aftermath of a stroke event. They are widely available, in a range of resistance levels, and affordable. Hold ball tightly in palm of hand. Squeeze the ball, hold, and relax. Repeat ten times, for two sets. 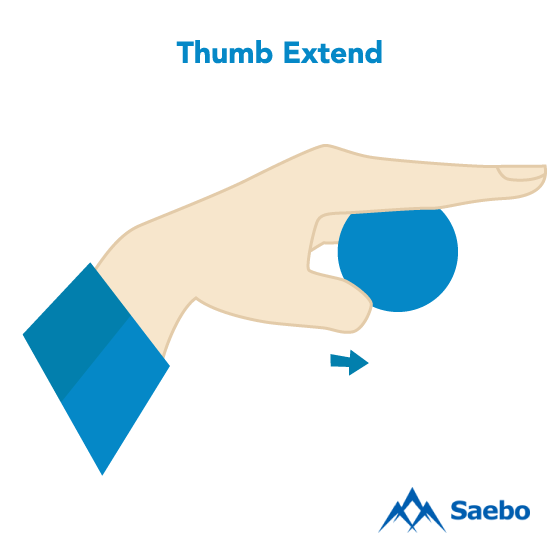 Place ball between bent thumb and extended two fingers of same hand. 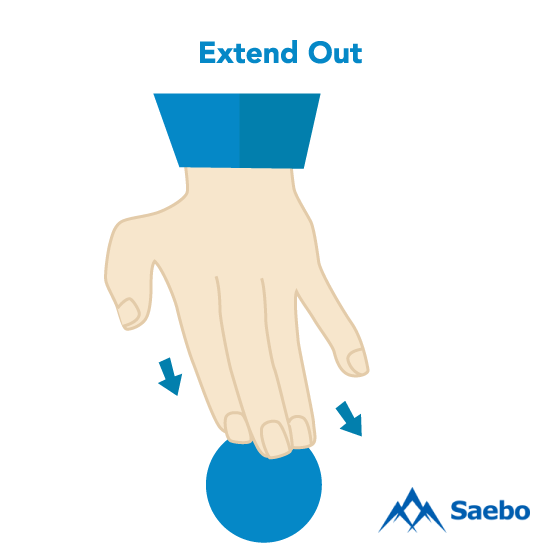 Extend and straighten the thumb to roll the ball. Repeat ten times, for two sets. Hold ball between thumb and index and middlefingers. Squeeze together, hold and relax. Repeat ten times, for two sets. 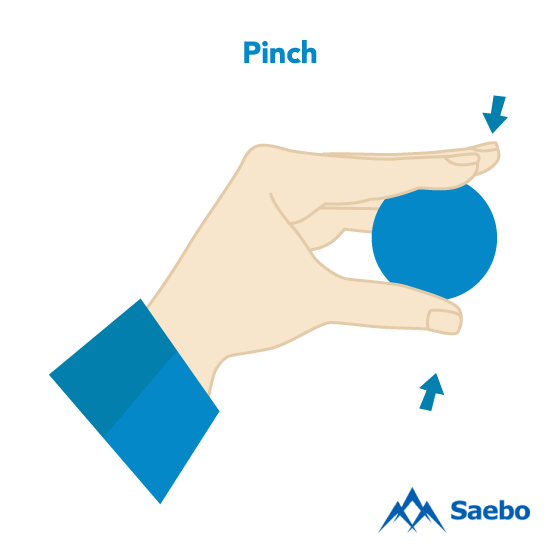 Place ball in palm of hand, bringing thumb towards the base of the little finger.Repeat ten times, for two sets. Place ball between any two fingers. Squeeze the two fingers together, hold and relax. Repeat ten times, for two sets. Place ball on a table. 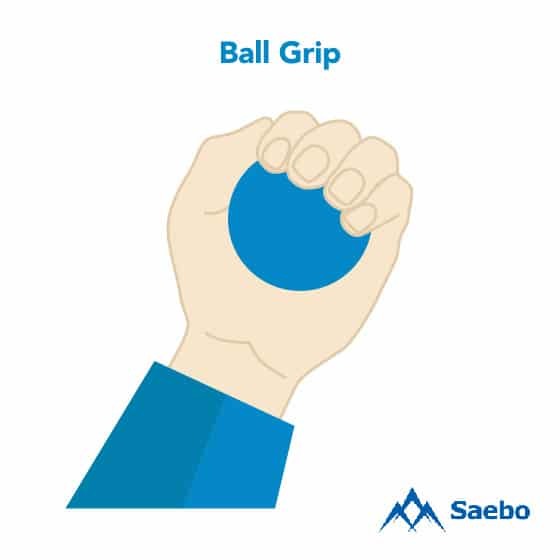 Place tips of fingers on the ball and roll the ball outward on the table. Repeat ten times, for two sets. Therapeutic putty is an extremely useful tool for building strength and dexterity, especially in the aftermath of a stroke event. It iswidely available, in a variety of resistance levels, and affordable. 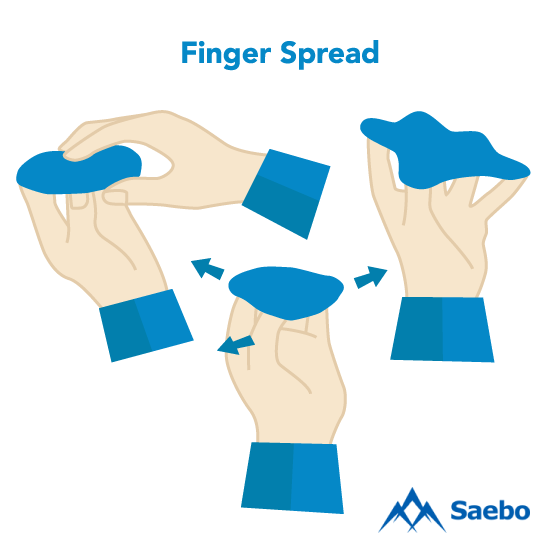 Wrap putty around two fingers and try to spread the fingers apart. Repeat ten times, for two sets. Place putty in palm of hand and push into it with the thumb towards the base ofthe small finger. Repeat ten times, for two sets. Bend thumb and loop clay around it. 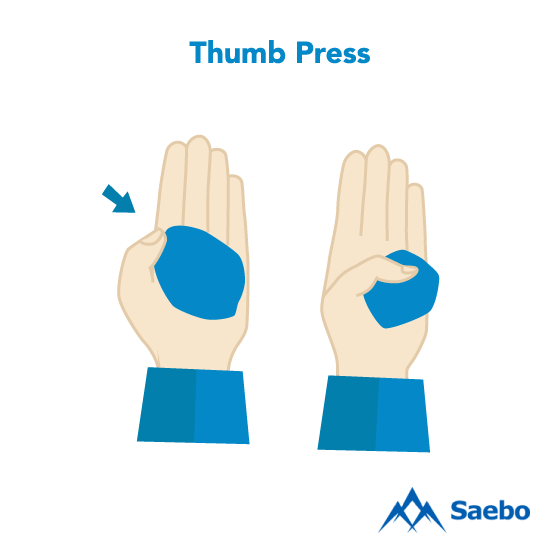 Try to straighten thumb as if simulating a “thumbs up” gesture. Repeat ten times, for two sets. 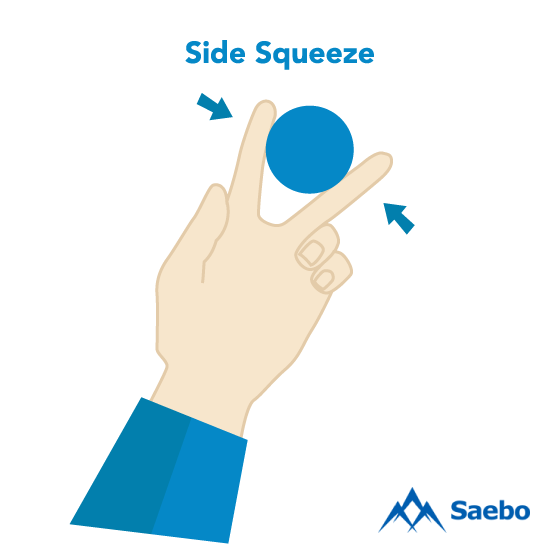 Squeeze puttybetween thumb and side of index finger. Repeat ten times, for two sets. 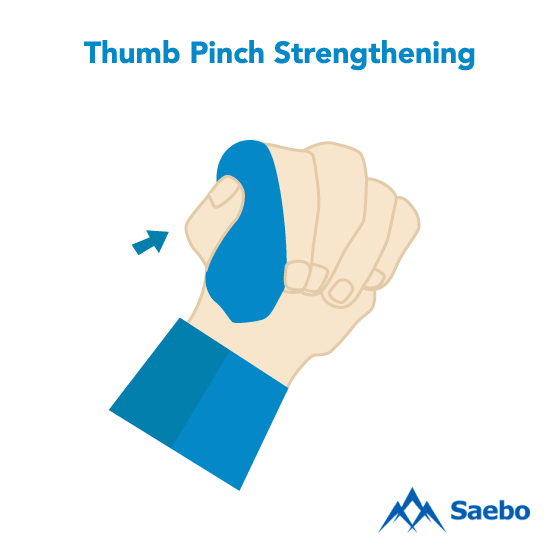 Keep fingers and thumb straight while pressing the putty between index finger and thumb. Repeat ten times, for two sets. Using thumb, index and middle finger, pull putty upwards. Repeat ten times, for two sets. 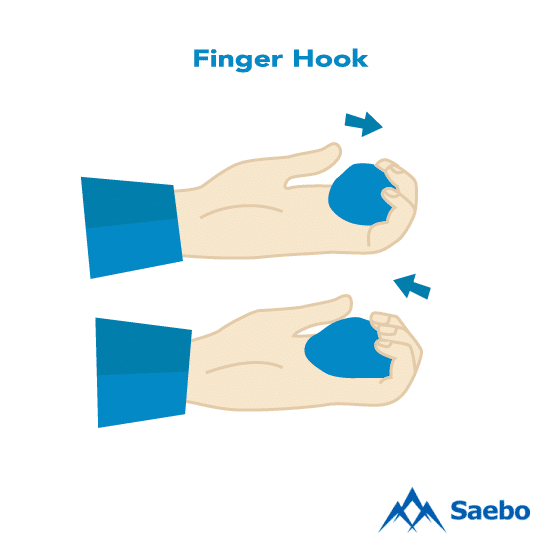 Place putty in palm of hand and press fingers into a hook shape, attempting to only bend the two last joints of the fingers. Repeat ten times, for two sets. Place putty in palm of hand and make a fist while squeezing fingers into the clay. Repeat ten times, for two sets. Pinch the putty between eachfinger and the thumb. Repeat ten times for each finger, for two sets. Bend finger and loop putty around it. Try to straighten finger. Repeat ten times, to each finger for two sets. Take a 1” diameter ball of putty and place between fingers. Squeeze and release. Repeat ten times, for each finger for two sets. Spread a pancake of putty over the fingers. Try to spread them apart. Repeat ten times, for two sets. It is possible that a survivor will not have therapeutic putty or a ball handy when they would like to exercise their hand. Fortunately, there are many exercises one can perform using just their body or common objects like coins or water bottles. Place the affected arm on the table and place a water bottle in the affected hand. Keep the affected hand and fingers relaxed. Curl the fingers in and grasp the water bottle then release. Repeat ten times, for two sets. 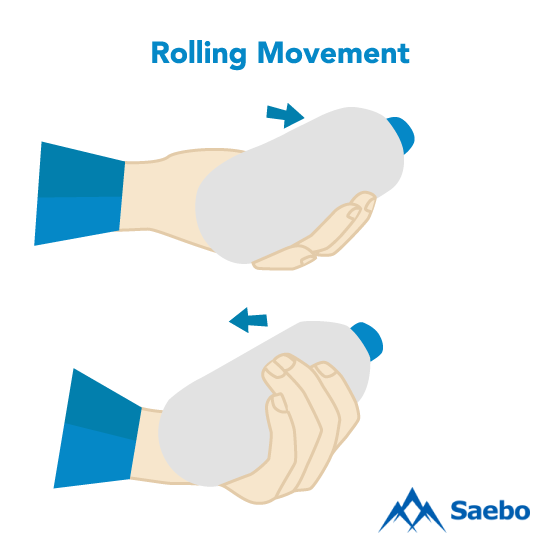 Grasp the water bottle in the affected hand and use the non-affected hand to prop and support the affected arm. 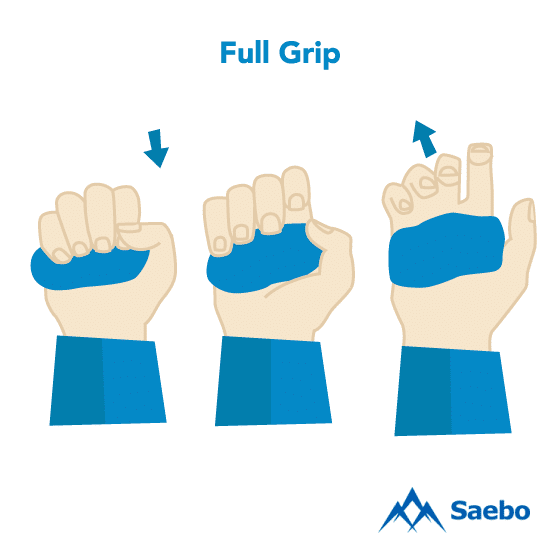 Allow the wrist to stretch down, and then curl the wrist up. Repeat ten times, for two sets. 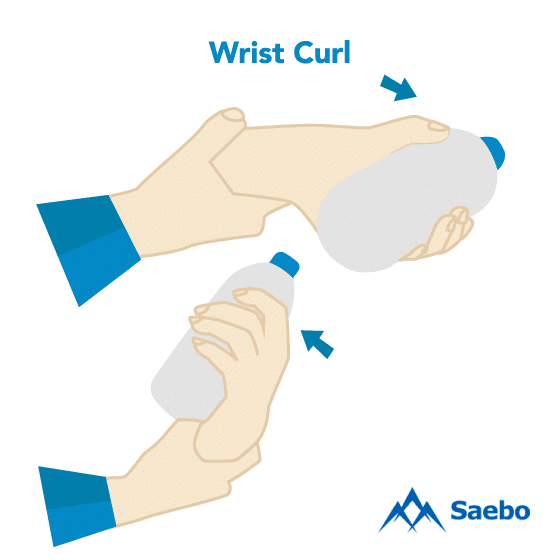 Grasp the water bottle in the affected hand and use the non-affected hand to prop and support the affected arm. Position the hand so the palm is facing down, then extend the wrist. Repeat ten times, for two sets. 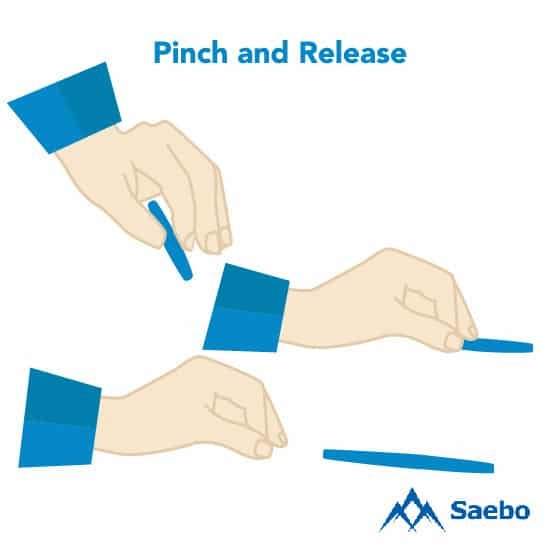 Place a pen to the side of the table and then gently grip it with the affected fingers. Slide the pen across the table, and then release. Repeat ten times, for two sets. 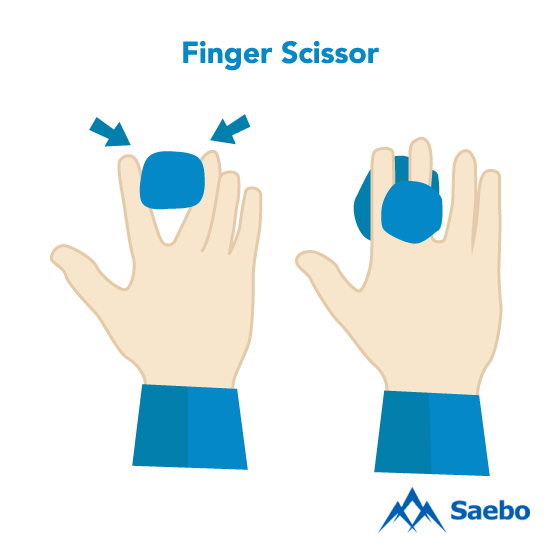 Place a pen on the table and use the thumb and fingers to spin it. 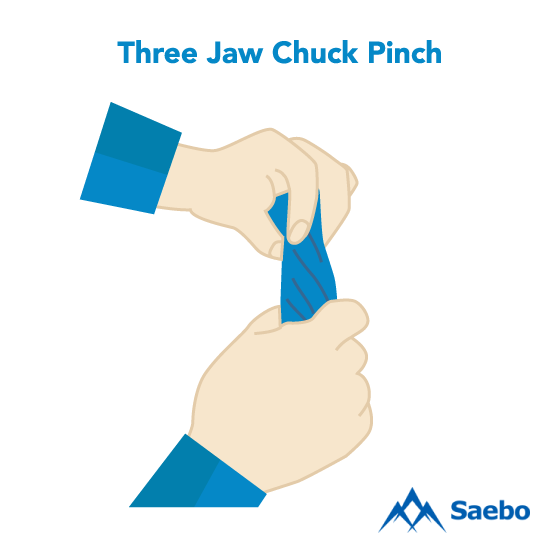 Try not to involve the shoulder in this exercise: the objective is to isolate the thumb and fingers. 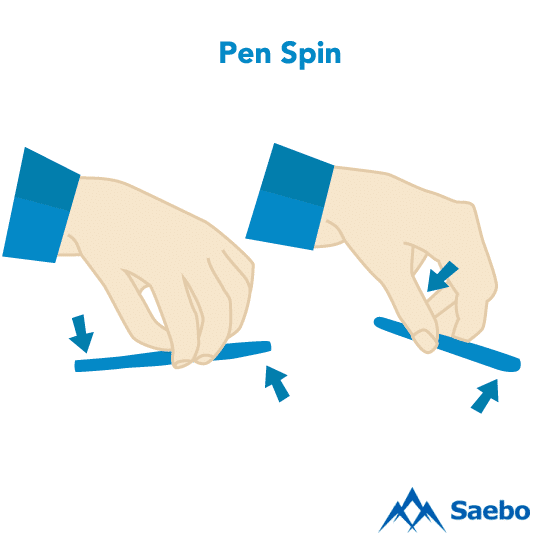 Aim for speed during this exercise, if possible, by spinning the pen quickly for 15 seconds. 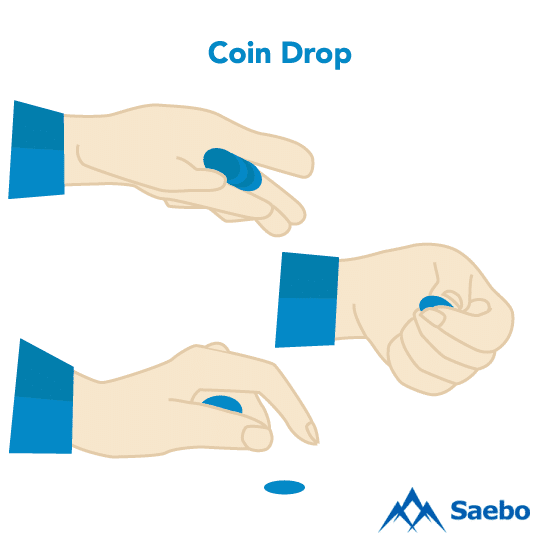 Place 8 quarters in a row in the palm of the affected hand. 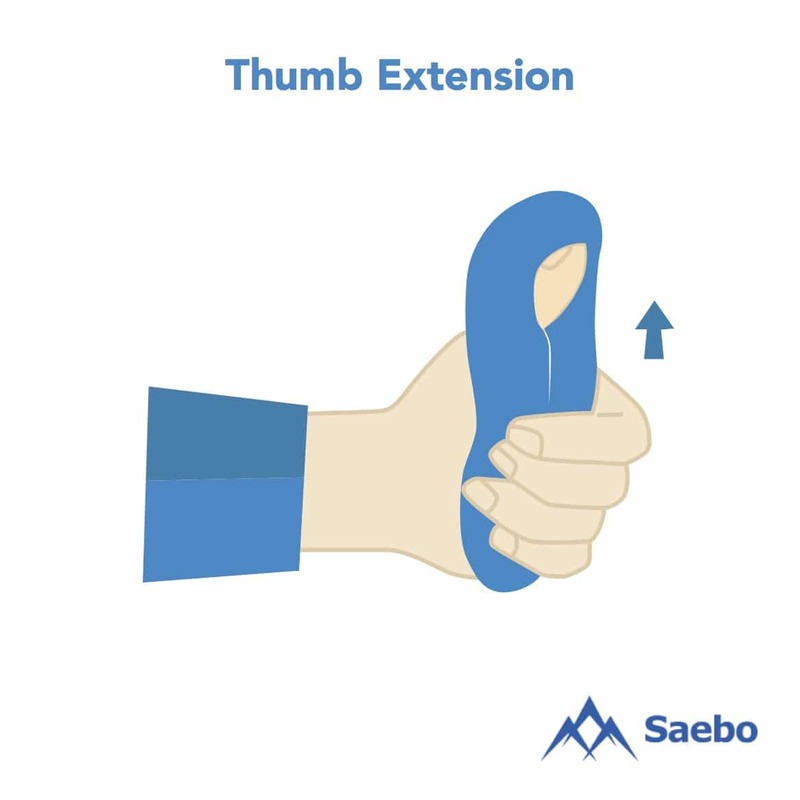 Then, use the thumb to slide one quarter down into the index finger and thumb. 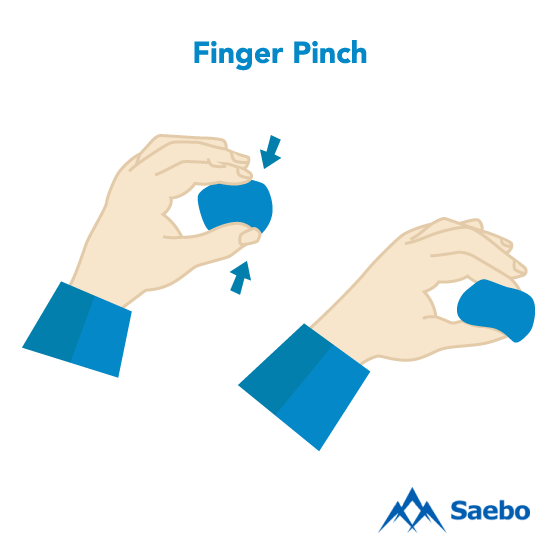 Pinch the quarter with your index finger and thumb. Then, place the quarter down onto the table while keeping the other quarters in \hand using the other fingers. Repeat with the remaining quarters. Bend the affected arm, placing the elbow on the table. 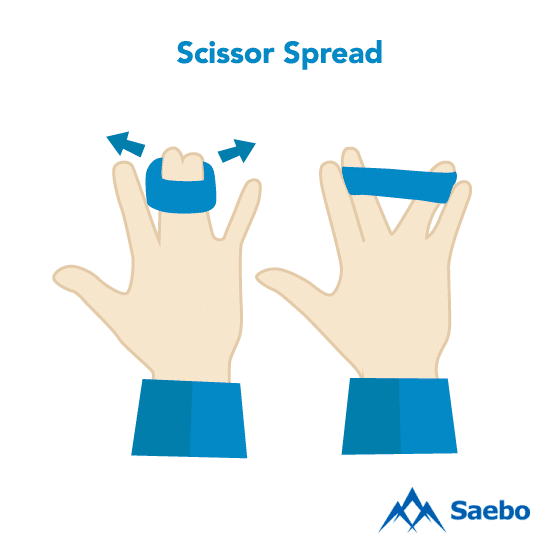 Bring the tip of the index finger to the tip of the thumb to make a ring. Pinch, and release. Repeat with your middle, ring, and pinkie finger. Pinch, and release. Perform with each finger, for two sets. The ability to use your hands to grasp and release objects, type at a computer, button a shirt, or even write a note to someone you love is so important to a high quality of life. If your stroke has robbed you of this ability, take action to improve your quality of life by beginning an at-home exercise program. 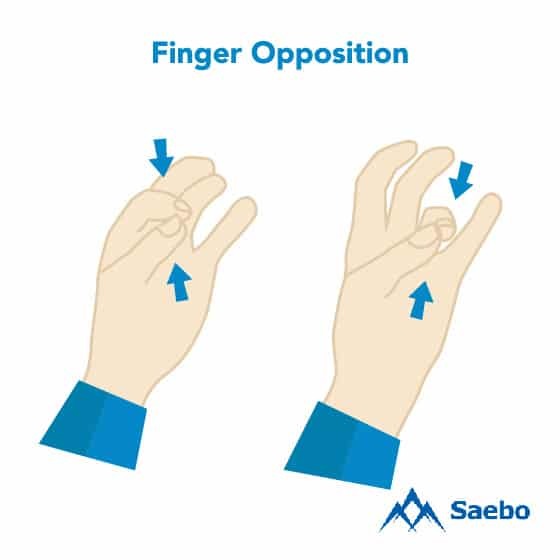 These finger and hand exercises for stroke recovery can help you regain the use and dexterity in your hands as you retrain your brain after the neurological damage that was caused from your stroke. 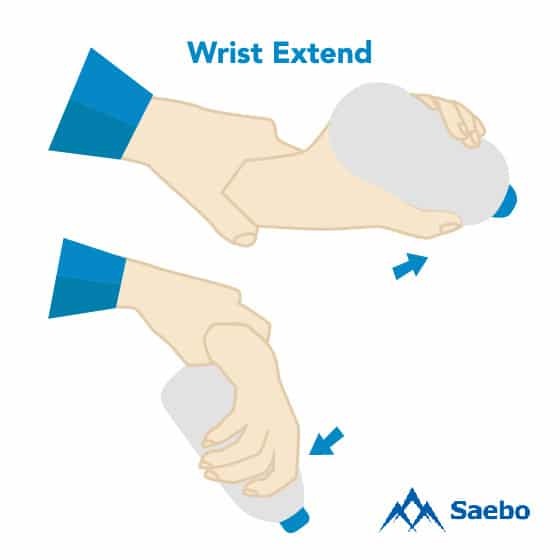 For extra support in advancing your recovery after a stroke, take a look at the many innovative products from Saebo to help you along. 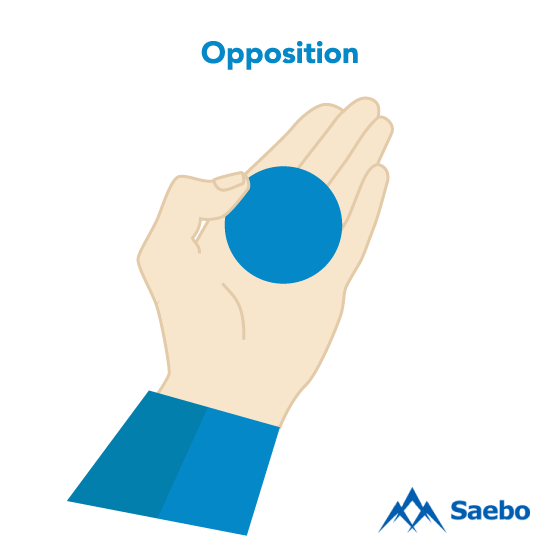 Here at Saebo, we are committed to stroke support and recovery for all survivors and their families. 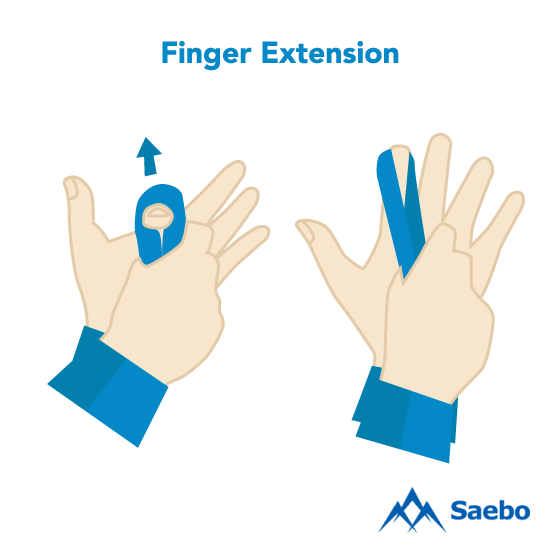 Saebo offers a wide range of products that combine cutting-edge technology with evidence-based rehabilitation techniques. 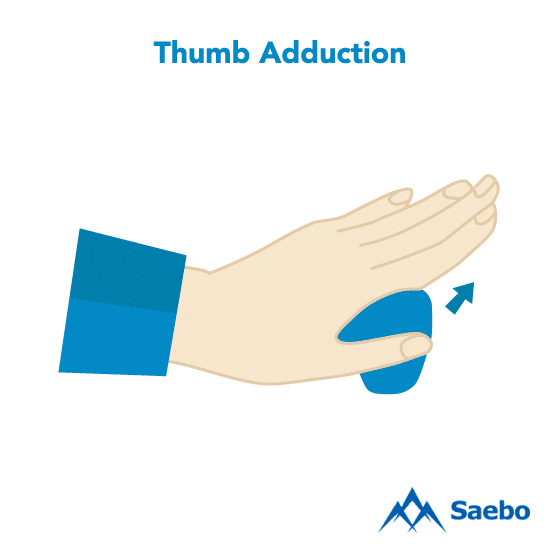 Our offerings and network of Saebo-trained therapists can help you or a loved one obtain all the necessary tools to maximize recovery.